Food photography is something us food bloggers take pretty seriously. We load up on props, agonize over the lack of natural light in winter, struggle with post processing and try our best to improve our craft. And let’s face it, photography is not the cheapest hobby or profession out there. Gear costs money and it’s hard not to fall prey to the lure of the latest and greatest camera or lens. I get asked all the time about what camera and lenses I use, which I’m happy to share. But, a great deal of what I do is helped along the way by some very inexpensive but hard working accessories that every food photographer should have in their camera bag. I’m going to assume, rightly or wrongly, that you own a camera already, so you won’t find one on the list. 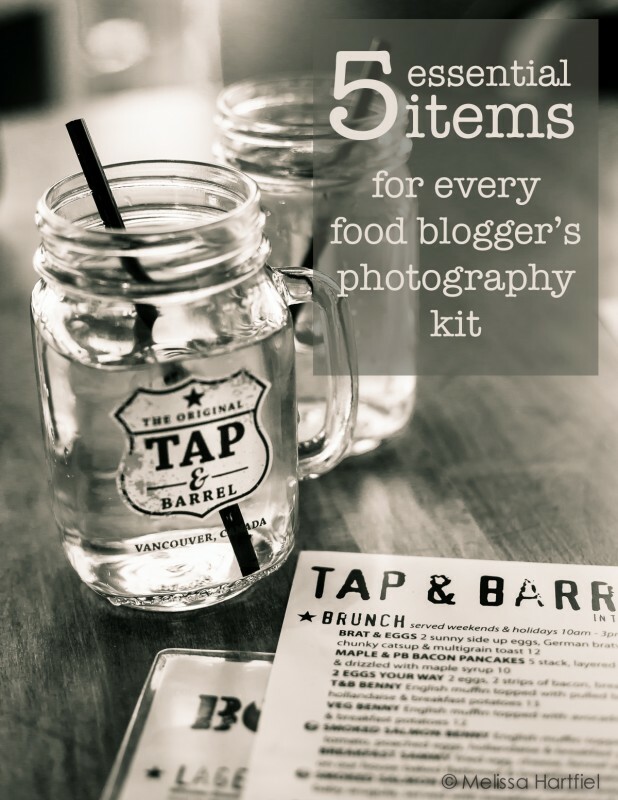 With the exception of one item (the 50mm lens), all of these are useful additions to your food phogoraphy gear whether you use a DSLR, a point and shoot or a smart phone. I shoot with Canon and the hardest working (and least expensive) lens in my kit is my Canon EF 50mm f/1.8 II Camera Lens . It was a Christmas gift years ago from my brother. I think at the time it cost $99 and now it retails for about $120 CDN. Nikon has an equivalent lens that retails for around the same amount. If I’m going out and can only take one lens, this is the one I take. It’s light, works really hard – especially in low light, can produce some beautiful depth of field and has pretty impressive optics given it’s price point. At home I use it for overhead shots – I get the sharpness I need and the lens is wide enough to get the whole scene in but not so wide that I have to crop the image down dramatically in post processing. I can’t speak to the Nikon equivalent but all the anecdotal evidence I’ve heard makes it wound like it would be an equally worthwhile investment. A tripod makes everything better when you’re shooting still life, like food. It allows you to shoot without shake and at a lower ISO in low light (great for winter). It helps you keep your focus tack sharp when using a macro lens, which will often have a very fine focus that can easily be ruined with the slightest movement. Unless you’re an expert at what I like to call “photograhper’s yoga”, it also allows you to set up a remote shot which can be great if you don’t have help and are trying to hold up reflectors or foam boards while clicking the shutter. 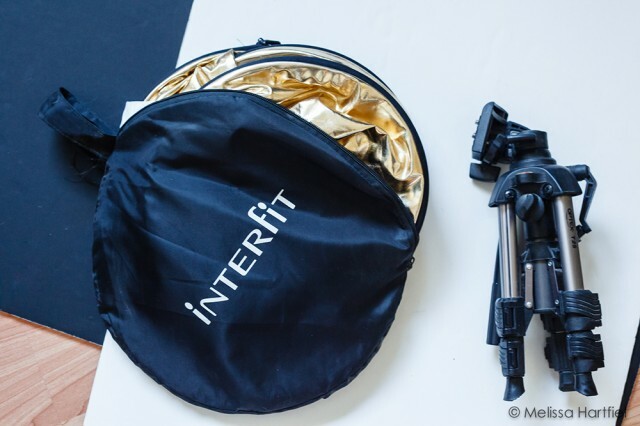 I have two – a mini Optex tripod and a full sized Manfrotto. Buy yourself two pieces of white foam board and one piece of black foam board at Staples. They cost about $3 each. I’ve had my current ones for three years. Last year at FBC2013 we gave away mini styling kits for our photography session participants. 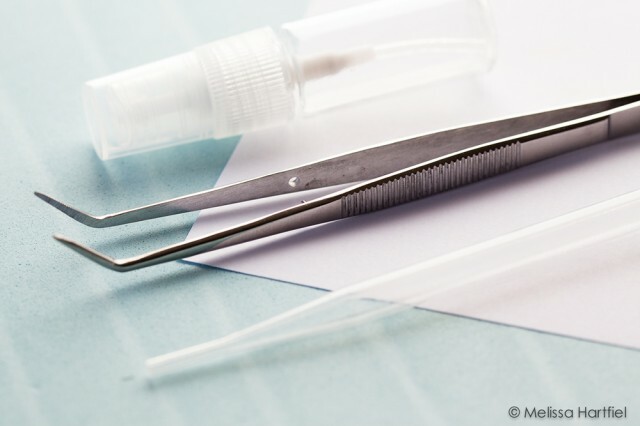 They were put together by stylist extraordinaire Adele Hagan and included a pair of tweezers, a mini spray bottle and a small plastic pipette. I think the total cost was about $7. While I don’t often use the pipette, the tweezers and spray bottle are gold, baby…. GOLD. Perfect for moving that piece of lettuce or giving a frosty drink a little refreshing. Get yourself to a dollar store and pull yourself together a little kit – you’ll have enough leftover to buy a cute little bag to put them all in. 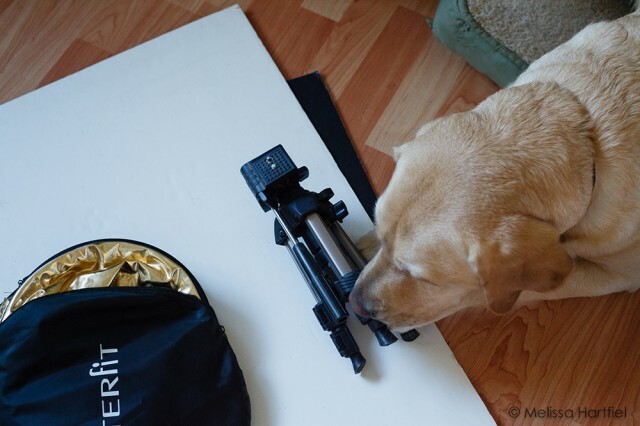 I know I’ve already mentioned the foam board and how it can replace and even be easier to use than a reflector. 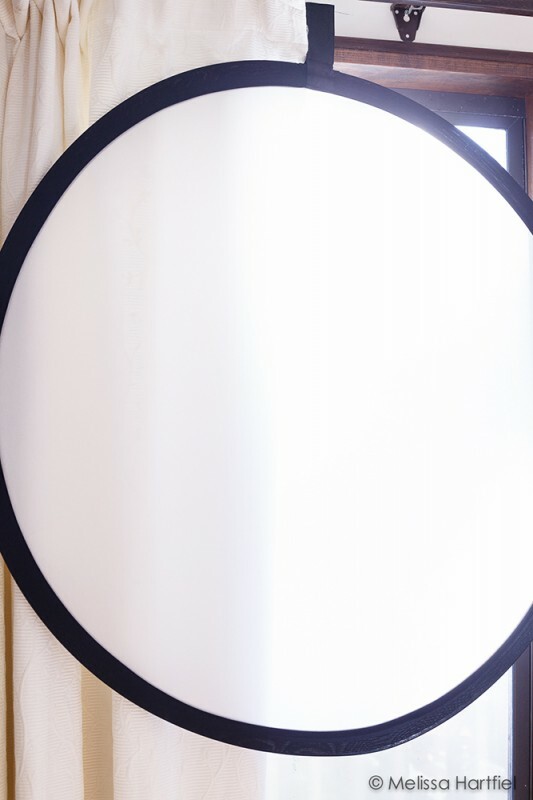 But a 5 in 1 Reflector/Diffusor is still a tremendous piece of equipment. 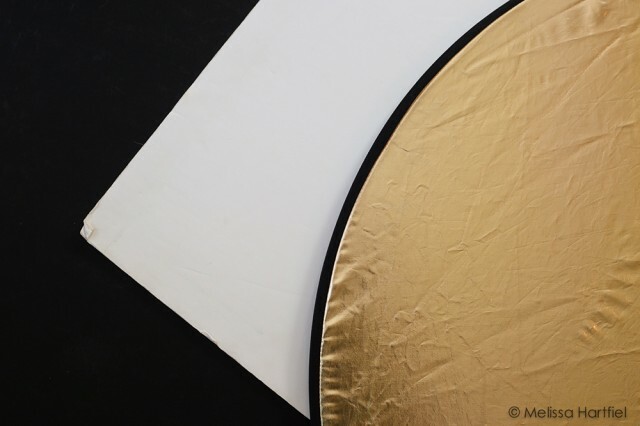 Not only do you get white and black but you also get gold and silver and… a diffusor. Diffusors are a must have to control your lighting – especially in harsh direct light like you might experience in the height of summer at a picnic or indoors with harsh fluorescent or tungsten light. And 5 in 1s come in a variety of sizes and fold up nice and neat and are much easier to pack up than foam board. Great for when you’re on the move. What’s Your Must Have Food Photography Gear? These are just my top five. I could easily have written a top 10 list! But these 5 are the hardest working items in my kit and all have very reasonable price points. What items can you not live without when shooting food? I’d love to hear what’s in your camera bag! Disclosure Notice: some of the links in this post are affiliate links and I will earn a small commission if you purchase anything after clicking through them. They help me cover the costs of operating this blog. Thanks! Great tools to have (I have some, including the dog) but lack the wonderful photography skills you possess (even with all your great tutorials to guide me). I’ve since switched to Canon, but I used to have a Nikon 50 mm f/1.8 lens and loved it. My essentials are pretty much the same as yours (though I haven’t gotten a reflector yet), but honestly I now use my 50 mm f/2.5 macro lens as much as my f/1.8. the macro is great to get up in close and focus properly. I have the 100mm 2.8 but I find the focus very sensitive. It doesn’t do well without a tripod. How is your 50? I am constantly working to improve my food photography, thanks for the helpful hints. 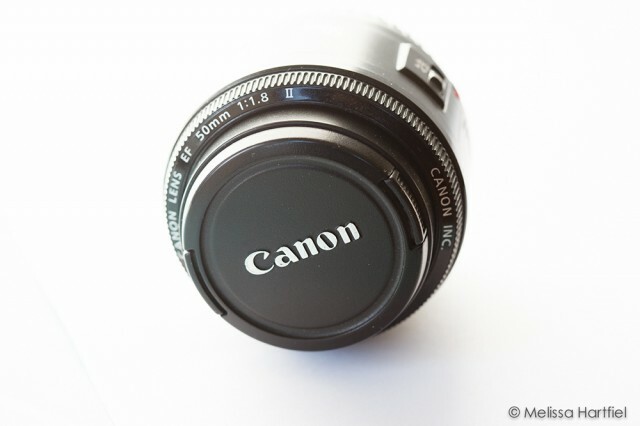 I use what you mentioned but now my lens of choice if the Canon 40mm 2.8. I prefer this lens to my 50mm 1.8. And a must is a tripod! Great Post! I help my wife with photography on her baking blog and who knew it was so complicated (probably everyone but us.) I found your site looking for information on post processing food photography and came across your blueberry picture post. I wish I would have found this list last week before I purchased our first primary lens a Nikon 35mm, it is supposed to be the same as a 50mm on a full frame camera so maybe it will be o on our little 5200. Thanks again for the good post, going to spend Saturday devouring your tutorials and maybe a cooke recipe or two! This is a great post Melissa! I recently purchased the Canon 50mm 1.8 lens and so far I love it 🙂 Thanks for the recommendation! wonderful! I just got a 40mm 1.8 and I like that a lot too. Let’s me get a bit closer than the 50!